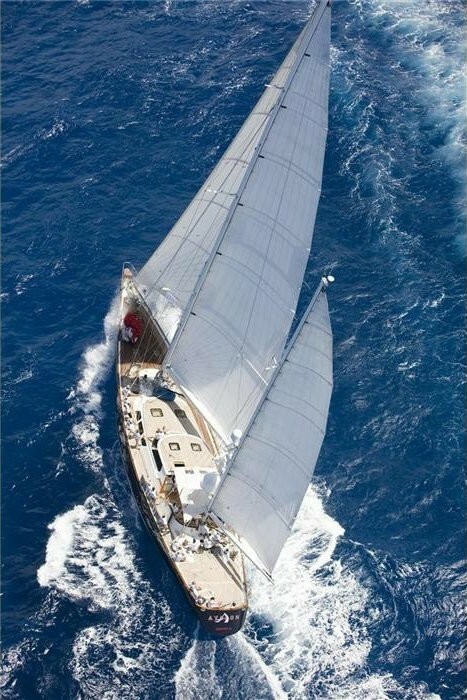 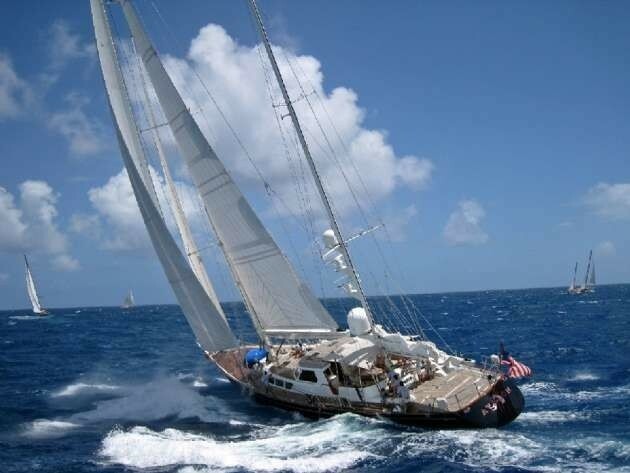 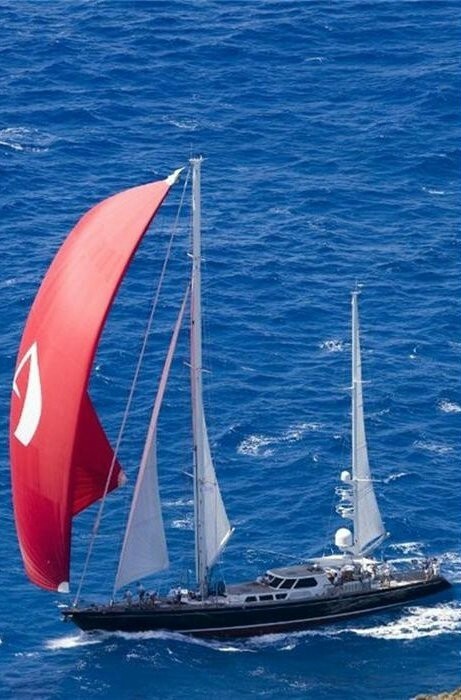 The beautiful Ron Holland designed 33.22m (109ft) ketch rigged sailing yacht AVALON, was launched in 1986. 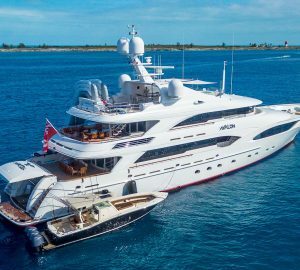 Having received over 4 million dollars in refits, including interior and exterior upgrades, S/Y AVALON exudes luxury and style. 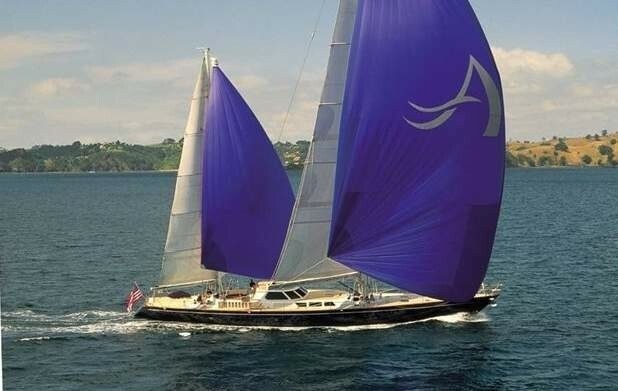 AVALON is the ideal choice for a yachting vacation with families and friends, boasting 3 spacious en-suite cabins, for up to 6 charter guests. 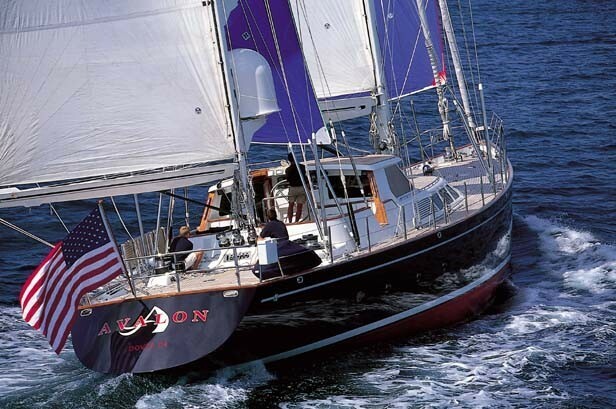 Crewed charter yacht AVALON is available in the Caribbean and New England. 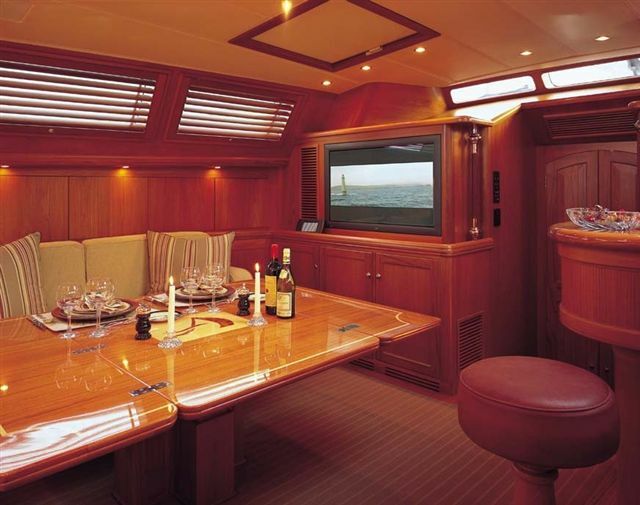 Stepping on board, guests will find the AVALON sailing yacht to feel extremely spacious both on her luscious teak decks and throughout her classy interiors. Below decks, the salon and dining is a social and open plan, featuring a large L shaped sofa, coffee table that converts effortlessly to a formal dining table, complete wet bar and state of the art entertainment. 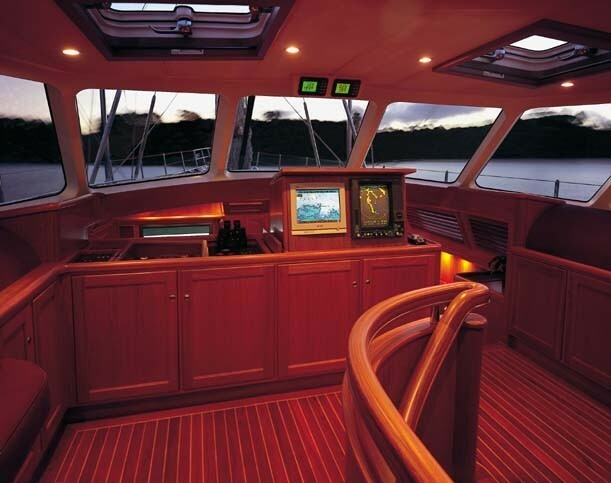 Wrap around windows bring ample natural light, highlighting the fine joinery and cherry woods. 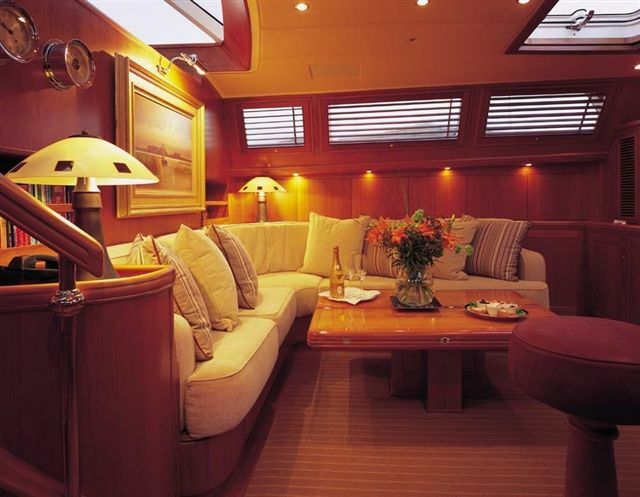 Guest accommodation is aft of the salon, providing optimum privacy. 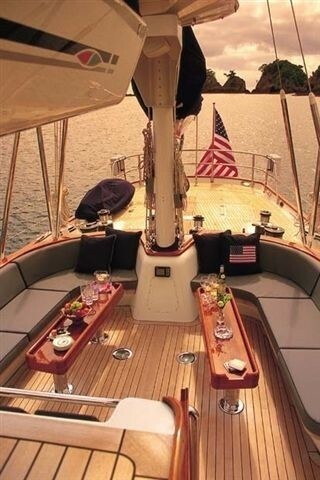 Exterior living is plentiful, perfect for gatherings, relaxing and enjoying her exhilarating sailing power. 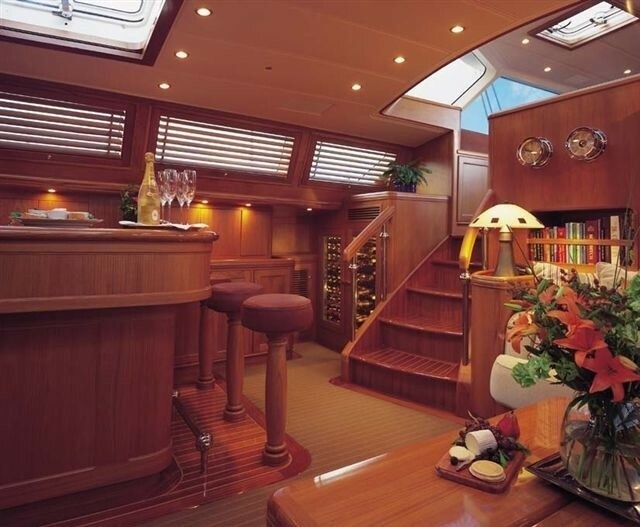 A covered navigation area leads out from the salon into the guest cockpit, offering ample seating and an alfresco dining option. 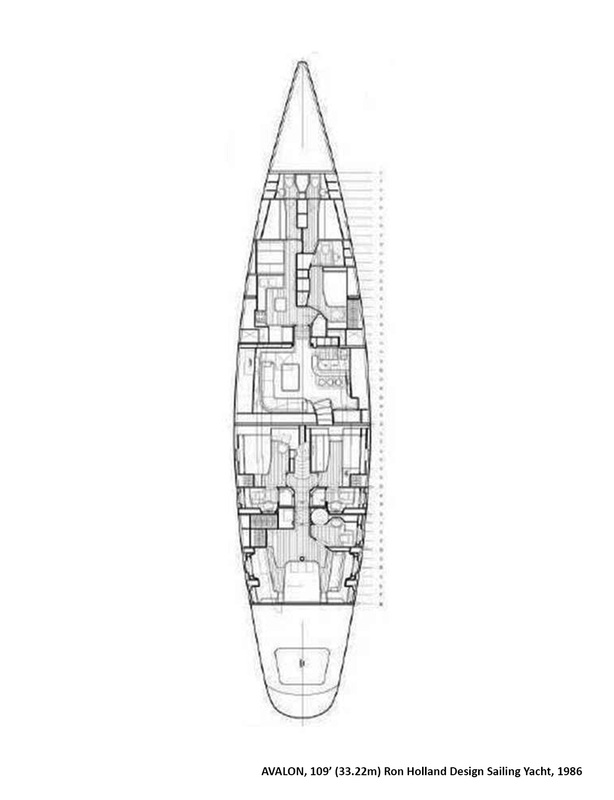 AVALON’s main deck wraps fore and aft, with 360° access and high safety rails. 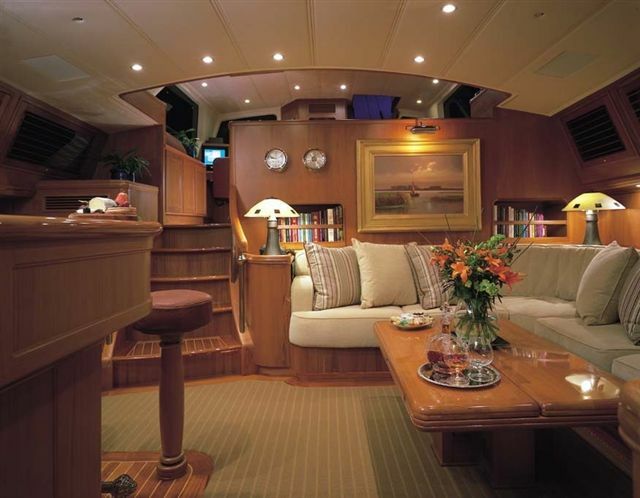 Enjoy sunning or relaxing with a book on the flush aft decks, expansive fore decks or even the raised cabin house, the choice is yours. 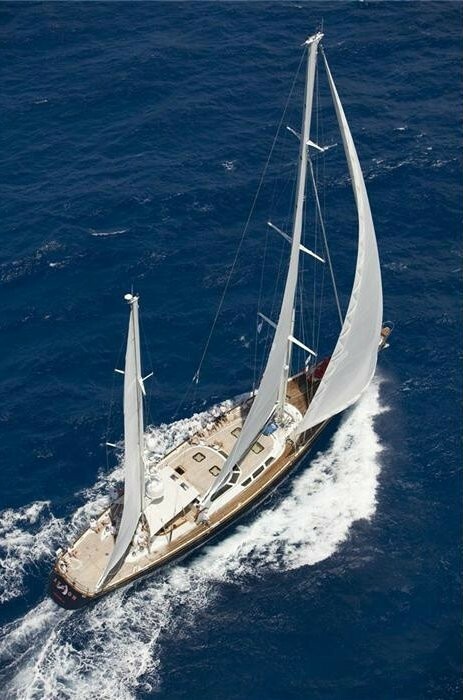 Powered by 2 x CAT 3208 V8 engines, AVALON is capable of speeds from 8.5 – 9.5 knots, while under sail alone, the graceful ketch rigged sailing yacht can boast speeds of 14 knots. 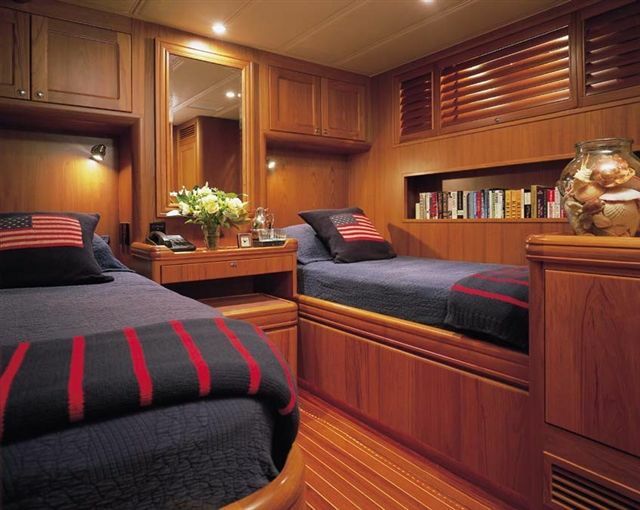 Crewed charter yacht AVALON accommodates 6 guests, in 3 well-appointed deluxe cabins, each with marble topped en-suite facilities. 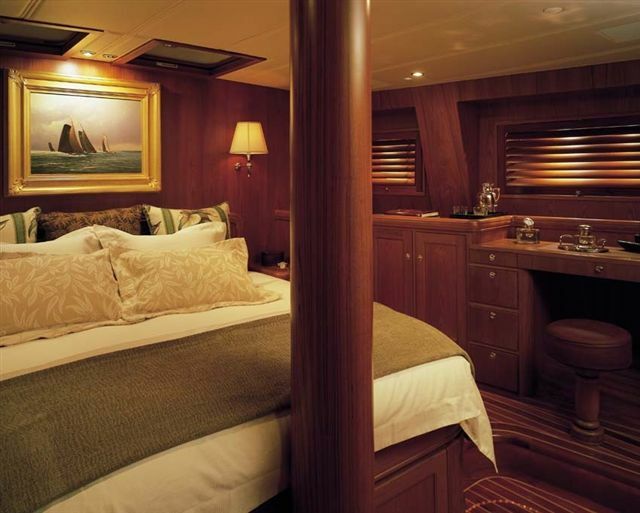 The master stateroom is full beam of the yacht aft, with a center lined king size bed, vanity, settee and full entertainment system. 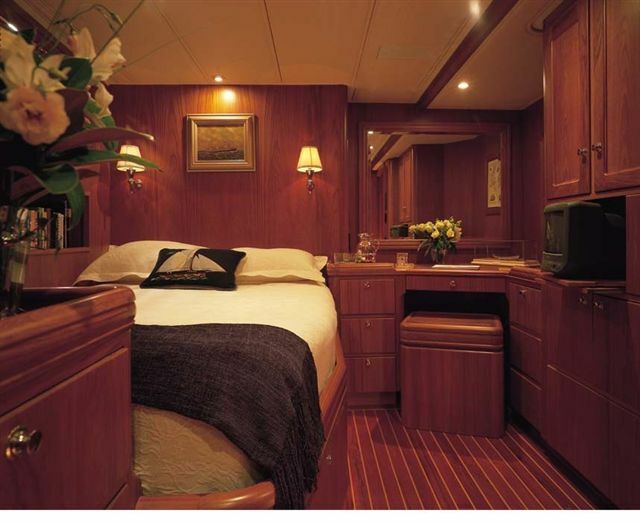 A guest double offers a queen size bed on the port side, with full entertainment, while a further guest cabin to starboard, enjoys 2 side by side single beds.